Is there a better alternative to Focused? 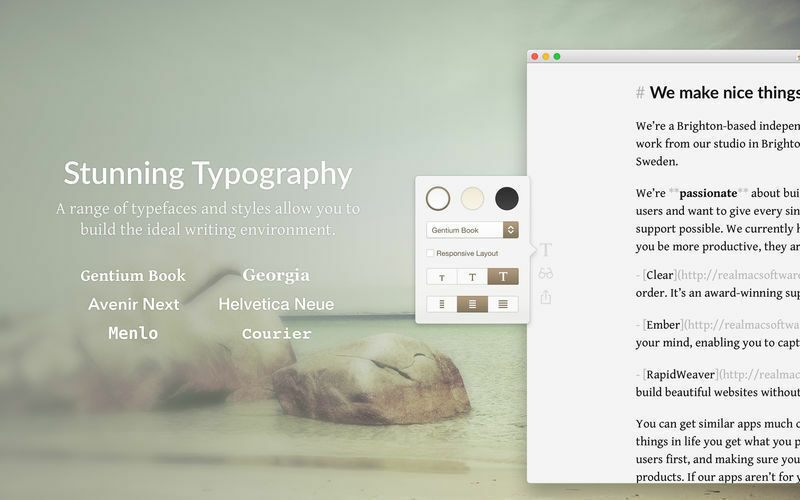 Is Focused really the best app in Word Processing category? Will Focused work good on macOS 10.13.4? Minimal UI - No clutter, no distractions. 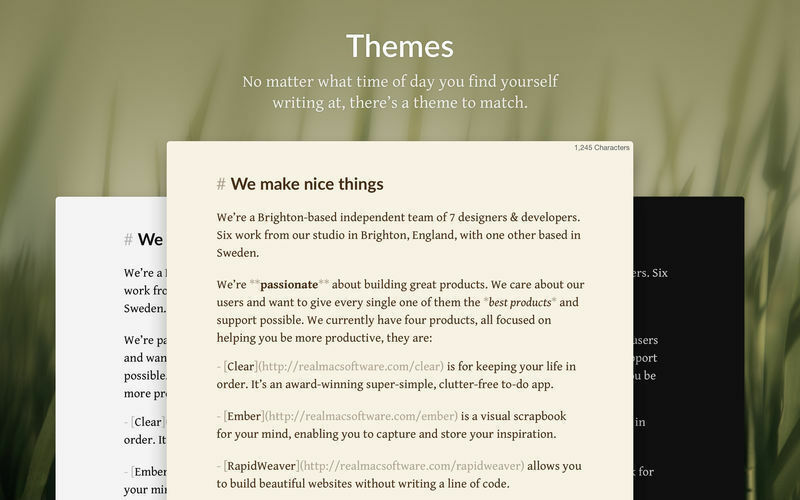 Just a perfectly-honed set of tools to help you write and stay focused on the task at hand. Word Count - Need to hit a word count, or stick to a character limit? 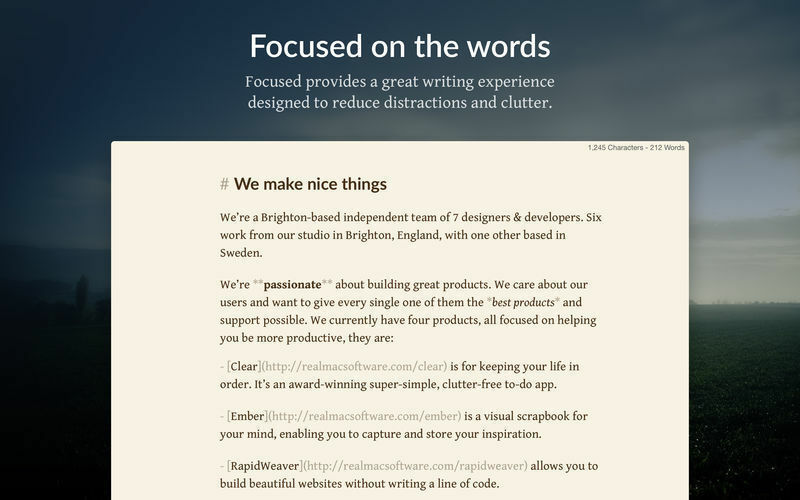 Focused keeps you on target without cluttering your workspace. Auto Save Support - The dog will never eat your homework again - Auto Save keeps your content safe, with Versions support to retrieve an edit. 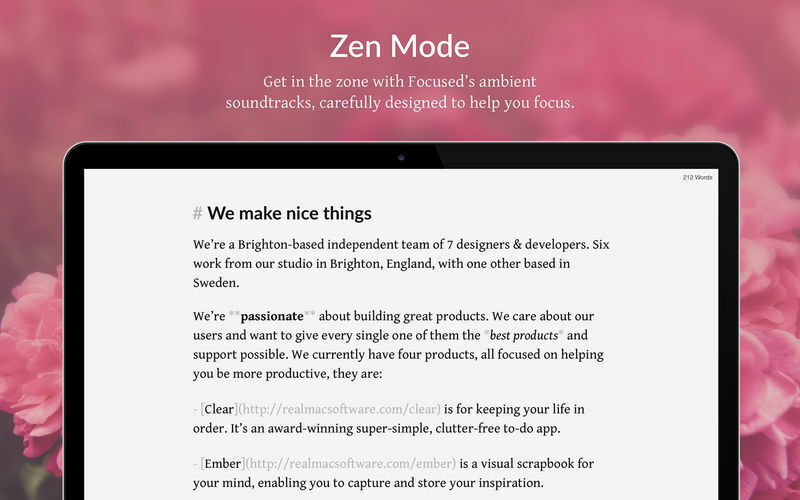 Zen Mode - Filter out life's distractions with 6 calming soundtracks that aid your focus, allowing you to concentrate on your writing. 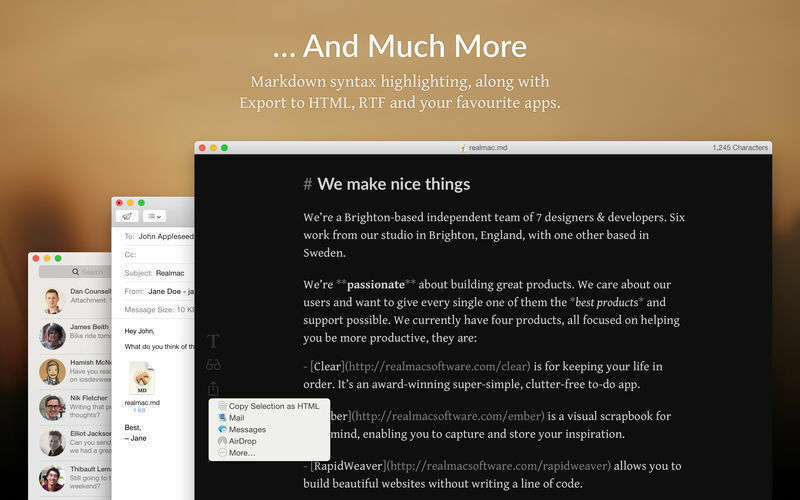 HTML Preview & Export - Focused is built to help you write for the web without the need to know any code - Focused generates it all for you. Keyboard Shortcuts - Never leave the keyboard again, with comprehensive keyboard shortcuts to help you structure and format.